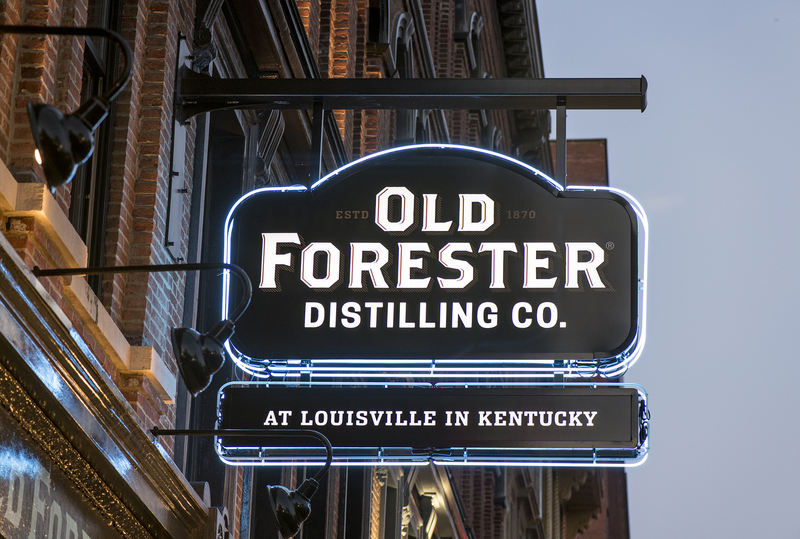 Enhance your visit to Old Forester Distilling Co. with a customized VIP Tour Experience. Please call us at (502) 779-2256 to discuss private tours, unique tastings and cocktail demonstrations. Life’s not a race, it’s a party. Bring your friends, leave your hat, tie, and worries behind. Join us on our daily tour for a guided immersion through the Old Forester distillery that explains the history of the hometown bourbon of bourbon’s hometown, distilling, bottling process, and much more. Tickets for the Old Forester Distillery Tour are $16 per person. At the end of the tour, guests of legal drinking age (21+) can taste our award-winning craft bourbon for themselves in the Old Forester Tasting Room. We strongly encourage all reservations to be made in advance online. Online reservations are strongly encouraged at this time. Closed on New Year’s Day, Martin Luther King Day, Memorial Day, Easter, September 9th and 10th, Thanksgiving, Christmas Eve, Christmas Day and New Year’s Eve. The maximum tour size is 18. For groups of 19 or more, please call (502) 779-2222. Taste your way through history on this unique Old Forester tour experience. 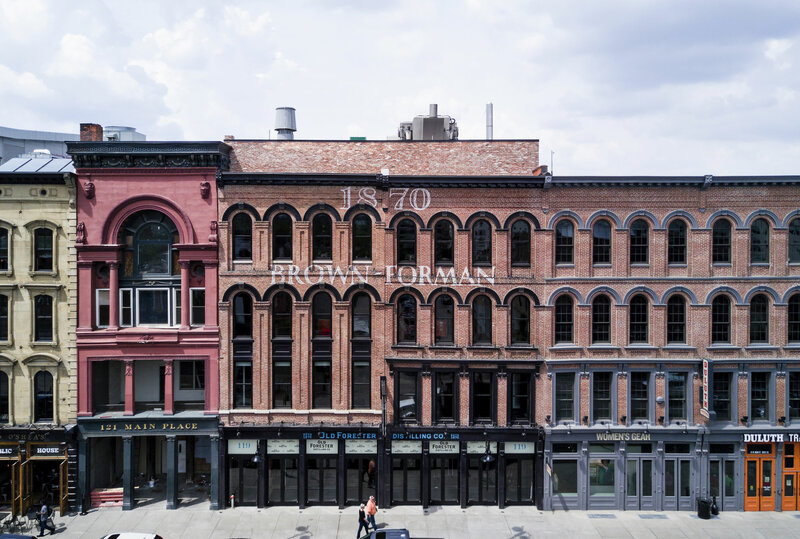 Learn about the Brown family, the Old Forester brand and their impact on the bourbon industry as you sample the entire Whiskey Row series. Each expression representing a key date in Old Forester history. Guided tasting stations positioned along the tour path will showcase the Old Forester 1870 Original Batch, 1897 Bottled In Bond, 1910 Old Fine Whisky and 1920 Prohibition Style. During this open house style tour, interact and ask questions of knowledgeable guides while you experience fermentation, distillation, barrel making, maturation and bottling at your own pace. “Taste your way through history” on this unique tour experience. 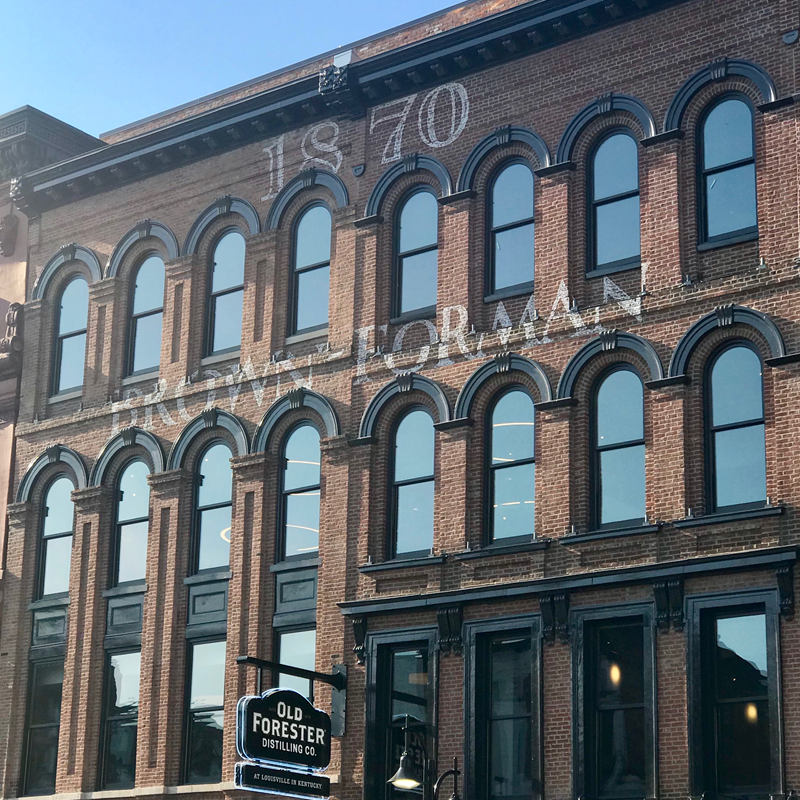 During this open house style tour, learn about the Brown family, the Old Forester brand and their impact on the bourbon industry as you taste the entire line of Whiskey Row expressions. Learn about the Brown family, the Old Forester brand, and their impact on the bourbon industry as you sample four Old Forester expressions. Each expression representing a key date in Old Forester history. During the tour, interact and ask our knowledgeable guides questions while you receive an in-depth look at the processes of fermentation, distillation, barrel making, maturation, and bottling. Conclude your experience with a guided tasting that showcases the Old Forester 1870 Original Batch, 1897 Bottled In Bond, 1920 Prohibition Style, and Statesman expressions. 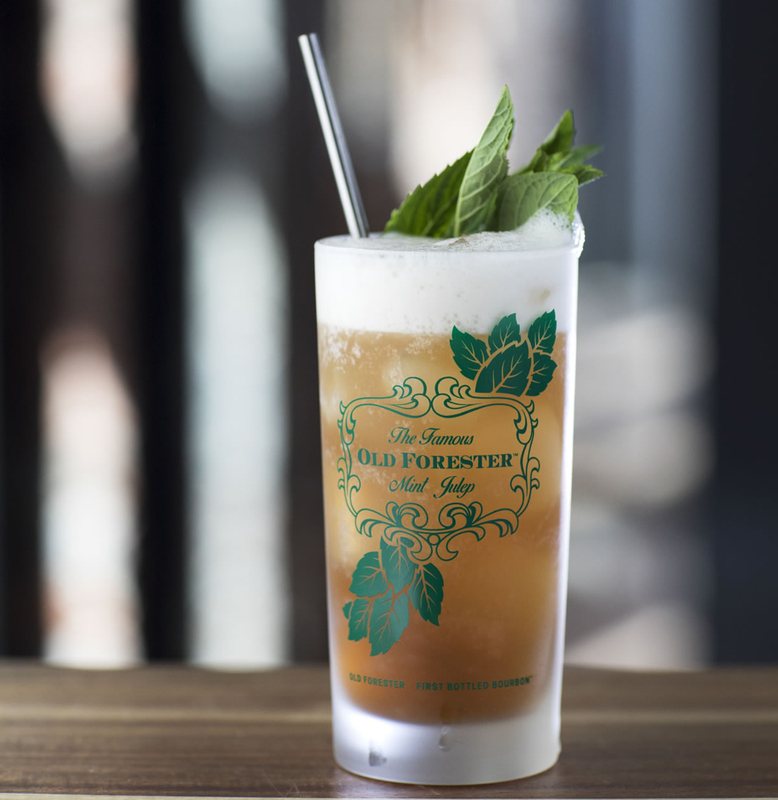 Taste your way through history at Old Forester Distilling Co. 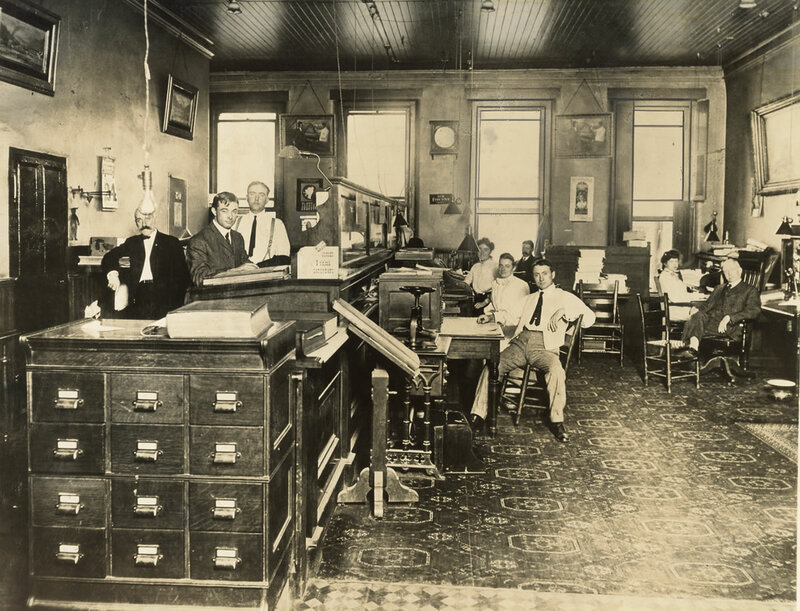 Ticket includes an immersive tour experience followed by a tasting of Old Forester 1870 Original Batch, 1897 Bottled In Bond, 1920 Prohibition Style, and Statesman. 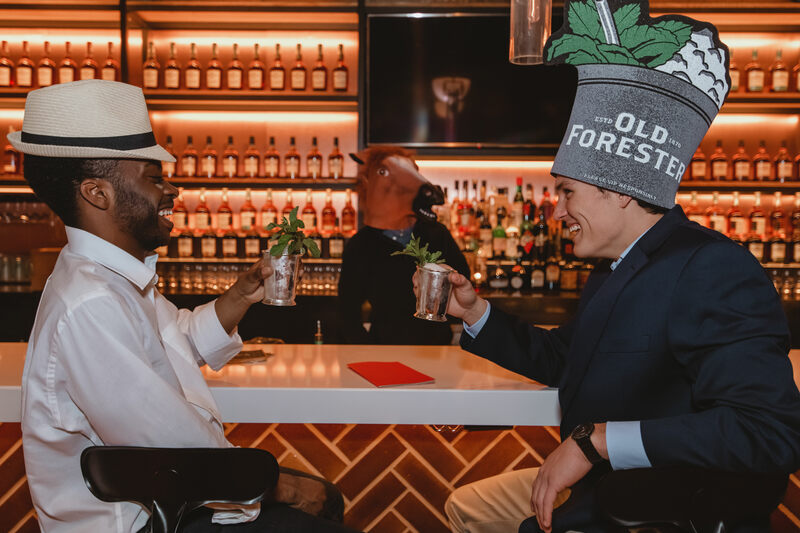 Join us at Old Forester Distillery to learn how to make the Official Mint Julep of the Kentucky Derby. This is a hands-on class that will break down the process of Kentucky’s most notorious cocktail. Classic and refreshing, this guaranteed crowd pleaser will sure be a hit at your next gathering. Must be 21+ to purchase or attend. Tickets include an exclusive tour of the Old Forester Distillery where you get to experience fermentation, distillation, barrel making, maturation, bottling and followed by a VIP tasting. Guests will enjoy a guided tasting which will include Old Forester Single Barrel, 1910 Old Fine Whisky, and 2018 Old Forester Birthday Bourbon. Includes an exclusive tour of the Old Forester Distillery, followed by a VIP tasting. Guests will enjoy a guided tasting which will include Old Forester Single Barrel, 1910 Old Fine Whisky and 2018 OF Birthday Bourbon. A full refund will be provided for cancellations made at least 24 hours in advance of the scheduled tour time. For cancellations made less than 24 hours prior to the start of the scheduled tour, no refund will be given. A full refund will be issued for large group bookings of 11 or more provided the cancellation is made at least 2 weeks prior to the scheduled tour. No refund will be awarded for cancellations made within 2 weeks of the scheduled activity.